Fabulous News! Durham Parks Foundation has received a Durham Open Space and Trails Matching Grant to complete Phase I of the Stogner Trail at Sandy Creek Park. The donations received over the past year have made this grant possible! We will continue to seek funding opportunities and donations to complete the final phase. Thank you very much for your support of this important memorial to Larry. Durham Parks Foundation is saddened by the news of Larry's passing today and share the sadness of the Stogner family and his large community of friends. We will continue to make the Stogner Trail at Sandy Creek Park a reality. Larry Stogner is a well-known, and much beloved, former news anchor for ABC-11 television station. In 2014 Larry announced his retirement as a journalist with a very honest and frank discussion of his recent diagnosis of Amyotrophic Lateral Sclerosis (ALS). The clip of this announcement became a "viral" sensation on international social media. Larry is a long-time resident of Durham and a daily visitor to Sandy Creek Park. Six days a week Larry brings his dogs, Beauty and Beast, to the park for their morning exercise. Since retirement Larry continues to be a six-day-a-week visitor to the park as well as a volunteer in park cleanup activities. The long range plan for the park has included an accessible loop trail and with Larry's diagnosis and his love for the park, this project has risen in priority so that we can ensure that Larry and others with disabilities can enjoy the park. 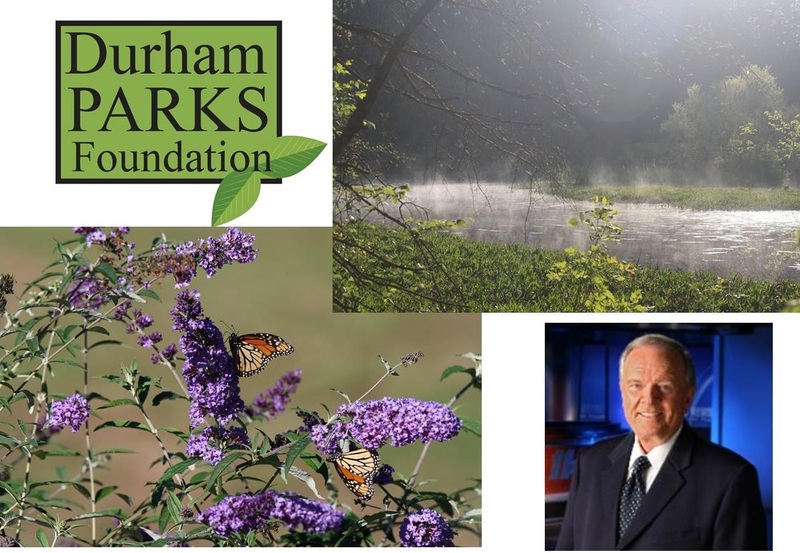 Durham Parks Foundation is working in partnership with ABC-11 and the NC ALS Jim "Catfish" Hunter Chapter to promote this fundraising campaign any funds donated in excess of the goal will be shared with NCALS to fund research. Click here to see the construction drawing for the project. OUR GOAL: $60,000. We know this is an ambitious goal, but we want to raise more than the project needs to construct this trail and also have enough to share with the NCALS for research.